Founded in the eighteenth century by Bernardo Ferreira, the Casa Ferreirinha was acquired in 1987 by Sogrape. The wines produced by this house and the house itself are synonymous with history and art. An essential figure in the history of this company is, undoubtedly, Dona Antónia Adelaide Ferreira who, with her entrepreneurial spirit, refined the company’s formula and consolidated it. 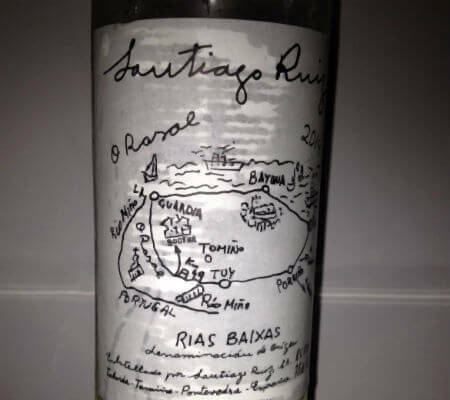 Sogrape has been able to respect and preserve all the historical and cultural heritage that Casa Ferreirinha implies and has always kept up to the present day, but allowing the company to suit the innovation and the present. The company has several wine ranges, such as Vinha Grande, Esteva, Papa Figos, Planalto, Callabriga, Reserva Especial, Quinta da Leda, AAF and, of course, the legendary Barca Velha. 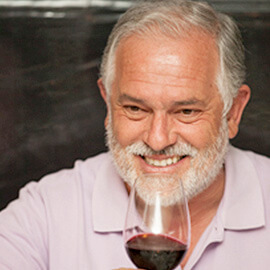 Fernando Guedes started working at Sogrape, founded by his father, Fernando Vanzeller Guedes in 1952, and gradually climbed the hierarchy until, naturally, he took over the management, having hoisted Sogrape to the top wine-producing companies in Portugal. His three sons, Salvador, Manuel, and Fernando, each joined the company in their own times and gradually inherited their father’s responsibilities. Then, fifteen years ago, at the age of 70, Fernando Guedes, a Nationally-renowned figure, decided to retire and pass the company management down to his sons, because as he put it, “…it would be in good hands, perhaps in the best hands!” And since the apple doesn’t fall far from the tree, Sogrape has never stopped growing. 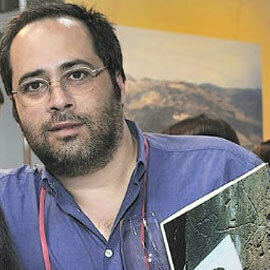 But Fernando Guedes did not abandon the company; much on the contrary. He stayed active, paying daily visits to the company, and he still visits the many Sogrape vineyards, especially in Douro, one of his great passions. In one of those Douro vineyards, it occurred to him to make a unique, different wine that would set a stand. With a glance at the Sogrape portfolio, this presents a very difficult task. 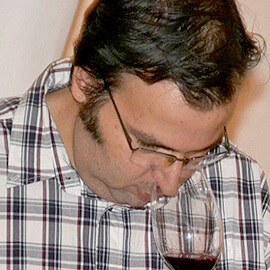 Fernando Guedes, an attentive, astute, keen and very sensitive man, kept insisting with Luís Sottomayor, the Director for Oenology, to make a wine from a centenary vineyard that grows on even older plateaus, whose twisted vines are almost invisible against the rough schist in Quinta do Caêdo, over in Ervedosa do Douro. 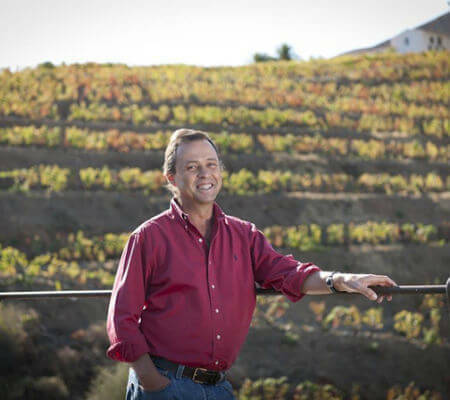 Being truly passionate about this vineyard, Fernando Guedes used his sharp humour and positive attitude to press Luís Sottomayor until, finaly, in 2007, he defeated the oenologist’s resistance. The latter created a wine from the (few) grapes in that centenary vineyard. The result was surprising and rewarded Fernando Guedes’s stubornness. He proposed to the family to make an exceptional wine, which was to become his legacy for the new generations. This would act as a message, a piece of advice, a pointer in the right direction: to always search for excellence. What better name for this wine than simply… Legado (Legacy)?! Hence, in 2008, the first edition of this superb nectar was produced. It is now time to present the latest Legado, of the 2011 harvest. Carrying a great symbolic message, the presentation took place in the facilities of the old Convento de Monchique, which were the first Sogrape headquarters in Oporto. Our transportation to this venue was… an old Oporto tram, a delightful and disconcerting idea. The old facilities of Calçada de Monchique now host an art gallery, the chosen venue for the presentation of this new wine, where chef Pedro Lemos prepared an amazing meal. However, before that, we did a vertical tasting of the three previously released Legado – 2008, 2009 and 2010 – and the 2011 neophyte with the image of Fernando Van Zeller Guedes hovering round the room. This allowed us to verify how this amazing wine has evolved throughout these four harvests in which the biggest difference is the year of the harvest. At the tasting table, side by side, grandfather and granddaughter exchanged their love with tender looks, revealing how close they are. The tasting began with the 2008 Legado. Intense yet elegant, with refreshing notes of some minerality, wild plants, smoke, slightly balsamic, with an immense delicious finish… Legado 2009 is a different wine; intense, slightly floral, with balsamic notes, some freshness and delicious acidity, very ripe and integrated tannins, and a long and big finish. 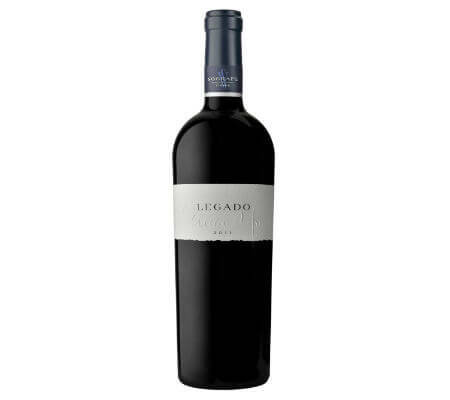 On the nose, the 2010 Legado is very elegant, mineral, full of freshness, notes of rock-rose and rosemary, young and restless, excellent acidity, ripe and very elegant tannins, still evolving in the bottle, but already very drinkable. Finaly, the Legado 2011, the big news; from an exceptional year, and according to oenologist Luís Sottomayor, the best ever. Slightly vegetal, exotic, involving, notes of smoke, humus, spices. On the mouth, it has incredible freshness and acidity; intense, ripe red fruits, complex but full of finesse, a great wine that will create a lot of buzz. While enjoying a chilled Mateus Rosé as per company tradition, we were served fried seafood rice with shrimp, wild potatoes, crab with guacamole and alheira croquettes round the room. 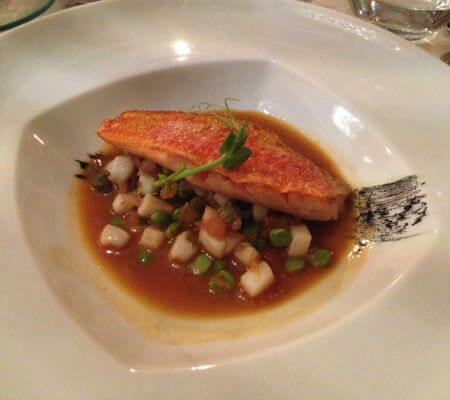 At the table, along with the new purchase made in Spain, the white Santiago Ruiz Rías Bajas Branco 2014, we tasted and approved a delicious red mullet, cuttlefish and roast sauce. 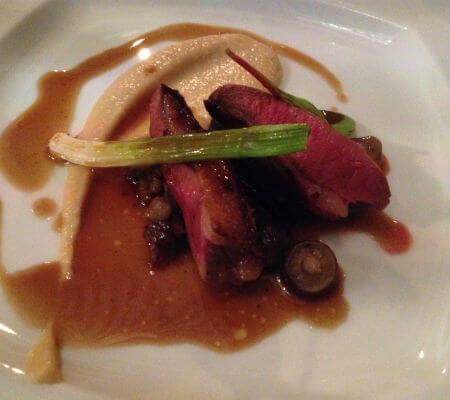 The star of the evening, Legado 2011, accompanied the pigeon, topinambur and wild mushrooms with disctinction. Simple, elegant, refined. 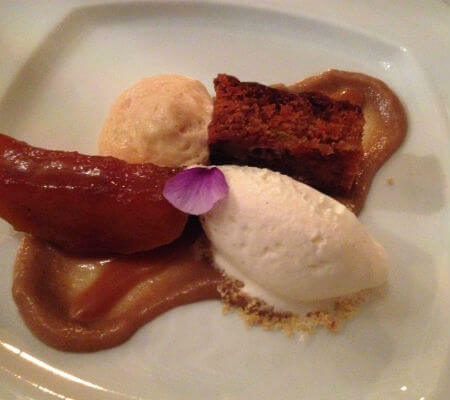 In the end, the dessert consisted of spice bread, apples and caramel; it harmonised with the Sandeman Vintage 1968 Port. That was the year when Sogrape left the Monchique facilities, where it could no longer fit… Another symbolic choice. Chef Pedro Lemos came to the room to further explain the excellent harmonisations he chose, and glasses were raised several times in honour of the house, the family and the excellence of the wines. In 1979, the old Casa Ferreirinha, or a. 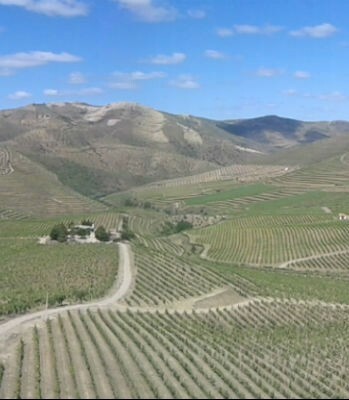 A. Ferreira, in continuing the Ferreira family tradition, bought an uncultivated piece of land in Almendra parish called Quinta da Leda. About 60 acres of vines were planted for the testing of the quality of wines produced in Douro Superior sub-region. The plantation consisted of 34% Tinta Roriz, 33% Touriga Franca, 23% Tinta Barroca, 8% Touriga Nacional and 2% Tinto Cão. 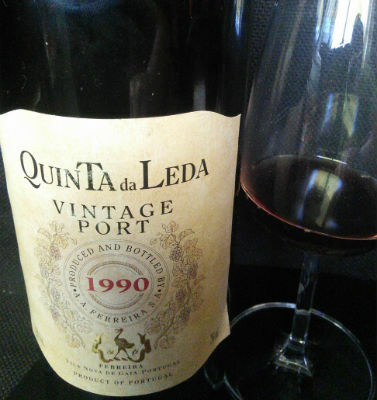 After ten years, the first wines they produced emerged as well as the first Vintage from Douro Superior by Casa Ferreirinha, Quinta da Leda Vintage 1990, which they only reedited in 1999. Nowadays, Quinta da Leda owns about 185 acres of land, providing the best of the company’s grapes, whose destiny is to be turned into wines such as Barca Velha and Quinta da Leda, whose first red is a varietal of Touriga Nacional in 1995. I confess, again and again, that I am not a big fan of Porto Vintage – even I sometimes don’t understand my own rejection of it, or my inability to get excited about the Ruby type. I have a confessed preference for Tawny; wines to whom oxidation is the word of order have always tasted good to me. Besides, wines must know how to reason in order to know how to nobly resist time. Therefore, it is very possible that I cannot remember many Vintage wines that marked me categorically. However, I recently had the opportunity to drink this Quinta da Leda, a 25 year-old vintage that, in my opinion, is at that perfect drinking point, not too much, not too little. On my first sip, upon making first contact, I noticed I was wondering how this wine would have been when it was younger. It most certainly wasn’t a wonder of force with coarse tannins begging for the cellar and, on the contrary, it might have always been a young wine with a pinch of the necessary austerity for development, although, from the beginning, it revealed elegance and balance between the very ripe and juicy fruit and the freshness. This formula can be applied to Quinta da Leda wines that have been released into the market. While I sip on what’s left of the bottle in an act of pure gluttony, I also enjoy a chocolate mousse with olive oil and red pepper. This amazing combination catapulted the wine to another sensory level; with enough acidity to cleanse the palate, the very fresh red fruit blends with the 70% cocoa chocolate in perfect harmony. With a lot of quality, it proves complex and rich in details, with fruits of the forest appearing macerated, tobacco, spices, dark chocolate, a slight earthy flavour on the bottom. On the mouth, all of the above is replicated, enormous freshness from the start, which escorts the whole trip through the palate with spiced notes and a dry finish. It will certainly last another few years in the bottle, but to me, it was a very enjoyable Vintage.